The Department of State Services has announced the arrest of former governor of Benue state, Gabriel Suswam. 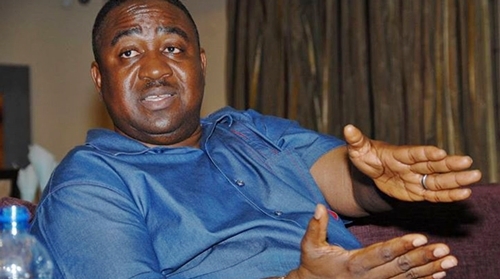 Officials of the Department of State Service (DSS), have arrested the former governor of Benue State, Gabriel Suswam, over an alleged connection with the killings in the state. According to a report by Vanguard, Suswam was invited by the agency on Tuesday over a petition by a high ranking politician, alleging that he (Suswam) was habouring Terwase Akwaza, a.k.a ‘Ghana’, who had been earlier declared wanted, following the killing of about 17 people in Zaki Biam, Benue State, in March last year. The notorious killer and kidnapper, Ghana, had also been alleged to be part of those behind incessant killings in many Benue villages. While working on the petition by the top politician, the DSS, which had arrested Suswam in February last year, placed him on a closer watch until he was invited on Tuesday and had since been held in custody. In a statement issued by Tony Opuiyo, DSS said then that it raided the building at 44, Aguiyi Ironsi Way, Maitama, Abuja, and recovered keys of 45 exotic cars, 21 Certificates of Occupancy, arms and ammunition. The statement had read: “The Department of State Services, DSS, wishes to inform the public that on February 24, 2017, between 2100 hours and 0242 hours, the service executed a search warrant, at the property of Dunes Investment and Global Properties Ltd, located at No 44 Aguiyi Ironsi Way, Maitama-Abuja. ‘’Weapons: (i) glock pistol with two (2) magazines and a total of Twenty-Nine (29) rounds of ammunition; (ii) mini-Uzi with two (2) magazines containing 10 rounds and 4 rounds respectively; (iii) forty-two (42) extra rounds of ammunition contained in a pack; and (iv) One (1) AK-47. “Other items recovered include: i. Twenty-one (21) Certificates of Occupancy (C of O) and one (1) Offer of Statutory Right of Occupancy; ii. Twenty-three (23) Luxury designer watches; and iii. Forty-five (45) keys to various exotic cars. "It is in the light of this latest development that the Service wishes to sound a note of warning to persons and groups that it will no longer tolerate any acts of lawlessness by those who ought to be law abiding and responsible citizens. The Service has also observed with total dismay the inciting utterances of some political actors whose activities heat-up the polity. "It also wishes to express its disappointment with these politicians who, in their desperation, are engaged in hate speeches and even sponsorship of radio campaign jingles when the electoral umpire has not authorized such campaigns in line with the Electoral Act. 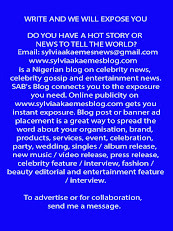 More worrisome is the unpatriotic involvement of some media outfits in these divisive tendencies which negate their constitutional role as the fourth estate of the realm. "In line with its statutory mandate of maintaining the peace and internal security of the country, the Service hereby restates its commitment to go after anyone no matter how highly placed who engages in acts capable of causing the breach of peace in the country."